YOUR WELLNESS BRAND is a 10-week business mentorship program that teaches you how to leverage your unique set of qualities, passions, and life experiences to create a distinct personal brand online. Because branding yourself is the key to standing out. In this intimate group experience, I'll be your Brand Coach & Mentor guiding you through a foundational process that will help you determine the most authentic way to market yourself as an expert. Discover what personal experiences, strengths, and perspective give you an edge as a wellness entrepreneur. Learn to powerfully attract the right clients by gaining a deep understanding of your target audiences biggest needs & desires. Learn how to use your personality and style to create a one-of-a-kind visual and written identity for your brand. Discover exactly what aspects of your website you can DIY and what you can outsource so you never waste money. I feel so lucky to have found this program when I did, and to have had Blair's voice guiding me as I wrote my content and designed my new website. It feels SO much like me! I know I'll return to the course content over and over again, no matter where my business takes me! It's so universal. Thanks Blair!! WEEK 1: YOUR YOU-NESS & TRUTH	MODULE 1	The first step to creating your health coaching practice is pulling your focus inward, connecting to your heart and intuition. Through in-depth writing exercises, we will define the essence of who you are and what makes you unique. RESULT: You, crystal clear on the value you have to offer and exactly what makes you unique. WEEK 2: YOUR JOURNEY, MISSION & VISION	MODULE 2	This week is dedicated to clarifying the role health and wellness has played in your life and the “why” behind your work as a health coach; both of which will help you choose the focus and specialty of your practice. RESULT: You, with your unique story, mission statement, and business vision. WEEK 3: YOUR TARGET AUDIENCE	MODULE 3	This week is dedicated to choosing your target audience, creating an ideal client profile, and learning about how you can best serve their biggest fears, challenges, and desires. RESULT: You, clear on exactly how to make a meaningful connection with your potential clients. WEEK 4: YOUR SERVICES & PRICING	MODULE 4	This week is focused on outlining your coaching program and offerings. We’ll also tackle pricing so that you feel confident charging what you’re worth! RESULT: You, with solid program outlines that will resonate with your target audience. WEEK 5: YOUR BRAND IDENTITY	MODULE 5	This week we dive into what branding really means, why it’s essential to creating a successful practice, and how to start laying the foundation for your brand. RESULT: You, clear on the vibe, personality, and voice of your brand. WEEK 6: YOUR DESIGN AESTHETIC	MODULE 6	This week is dedicated to giving you clarity about your design preferences so that you can create a website that feels like you. Have fun finding websites, logos, photos, and visual elements that you love! RESULT: You, with a clear vision of the beautiful website and brand you’re going to build. WEEK 7: YOUR WEBSITE COPY	MODULE 7 + COPWRITING 101	This week you'll learn my copywriting process so that you can write captivating copy for your website, specifically for your Home, About, and Services page. RESULT: You with website copy that connects and converts. WEEK 8: YOUR ACTION STEPS	MODULE 8	This week will guide you through which elements of your brand you can DIY and where you need to outsource to an expert, i.e. logo design, copy, or photos. And set you up with an action plan to execute. RESULT: You, with a clear and practical plan for bringing your brand to life online. WEEK 9 & 10: INTEGRATION ACTION PLAN	These two weeks will be devoted to putting everything you've learned into action: completing your website copy, finding a web designer, choosing a photographer, etc. I'll be there to support your decisions and give feedback. RESULT: You, on track to launch your website. Learn how to not only create great content for IG, FB, and more, but also get my secrets to growing your audience. Discover the essential daily, weekly, and monthly to-do's to build both brand awareness and a pool of potential clients. Learn the framework to creating a captivating freebie to gain subscribers and an email sequence to nurture them. Never wind up with photos you don't love again with this step by step guide on how to prep for your photo shoot. Learn the key to having authentic and strategic sales conversations with prospects so that your 99% more likely to close the deal. Lean on the expertise of a Columbia University trained Mindset Coach so that you can let go of self-doubt and limiting beliefs. I SIGNED MY FIRST PAYING CLIENT!! I would not have been ready and able to do that without the clarity and confidence I gained from you and YWB! Thank you so, so much!! I truly feel as though I am at the beginning stages of something amazing! 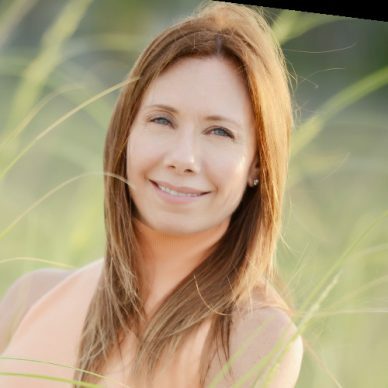 Blair is the founder of Blair Badenhop, Inc., a global brand strategy and copywriting consultancy for wellness entrepreneurs. 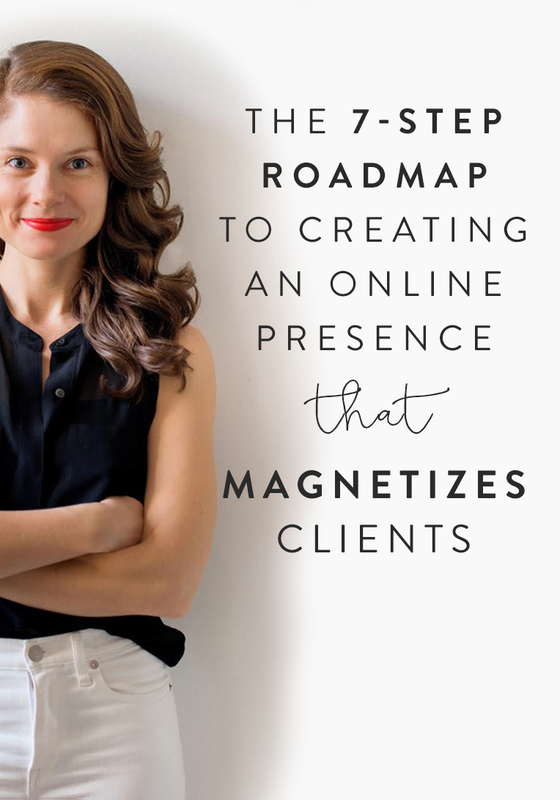 Since 2014, she has supported over 200 coaches, doctors, best-selling authors, thought-leaders, teachers, and more in creating meaningful and authentic brand identities online. Her clients have included industry leaders like Jadah Sellner, Nitika Chopra, Alexandra Jamieson, Anita Moorjani, Natalie Morales, Matt Kahn, and many others. 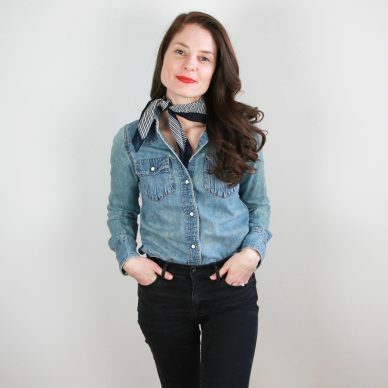 She’s also the host of BRAND YOURSELF podcast, a show that gives listeners a behind the scenes look at what female entrepreneurs in the wellness industry have done to establish successful businesses and distinct brands.